You should not be surprised. Gikany and Una are Harry Potter fans. The books have been completed and now the movie series is over. Did we go to the show…oh yes. Have we read the books over again because we just saw (or were about to see) the last movie. Oh yes! Are we waiting for them to be released as ebooks. Heck Yes! But now what? I’m sure the franchise will continue to pump out action figures, toys, games, etc, but what will J.K. Rowling do now? It’s been three years since she has published a novel (four for those that don’t count Tales of Beedle the Bard, and yes Gikany is chiding Una). Is this it for those that loved the Harry Potter world? What do you all think? Did the movie bring back those feelings of emptiness similar to when you finished reading Harry Potter and the Deathly Hallows? Una feels pretty good. It was fun to see the books come to life on the screen (once they figured out the best way to portray them). But we are more interested in new stories. This world captivated millions, not just with the books, but the movies as well. There must be more stories to tell. Is J.K. Rowling going to write them or will someone else pick up where she left off? Will she let them? This phenomenon is similar to the Star Trek movies and books (and cons). This can’t be it. There must be more. Will they figure out how to allow people to play REAL Quidditch? Not with them running around on the ground holding brooms, no, when will NASA give us hover-brooms so we can play? I’m still waiting for hover-boards seen from Back to the Future II. 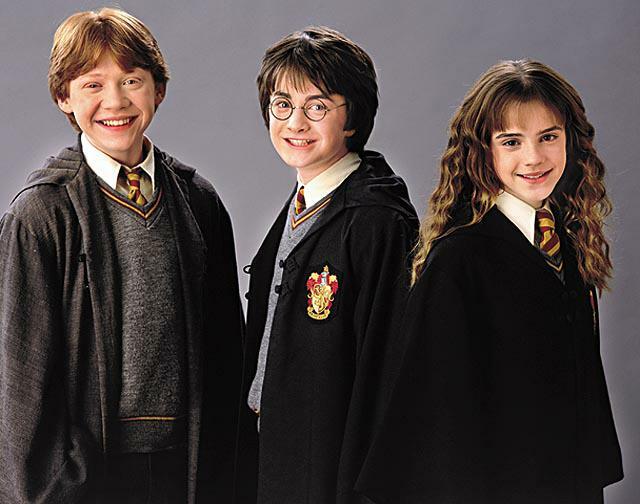 Harry, Hermione, and Ron are all grown up and have moved on. Does this mean we have to do so as well? We don’t know about you, but Gikany and Una agree, there is much more that can come from this world. What about the dragons? What about the giants? What about the wild magic places? Couldn’t we have a new group of explorers and adventures? This is not unreasonable. I’m sure J.K. Rowling may need to pad her kids’ college funds (or they may want a car…). There is now a hungry market waiting for her next release. Well there will be Pottermore where Rowling will give us more stuff from Harry Potter, not to mention more background on places and people. Like McGongall and the founders. But…it is sad that there will be no more movies. @lonewolf beat me to the punch – Pottermore is Rowling’s continuation of the Potter universe. To be honest, I’ll probably stay away. I like it when things (even good things) end and it was a satisfying end. We can still talk about the movies and the books to our hearts’ content, and that’s how it can continue on. Reading it to your kids when they are ready for it is another way. Thank you Ms. Rowling and Warner Brothers for a great ride! I must admit, having the series come to an end was sad, but not finite. I agree with you. There is so much more that can be told, another group who can have even more adventures. One thing that would be difficult to replicate is the link of reluctant hero and infamous villian shared by Harry Potter and He who shall not be named. It will be interesting to see where things will go from here. @lonewolf & MzMollyTL – I had heard of Pottermore in passing, but didn’t know what it was…we’ll have to check it out. @Angela Brown – exactly. Not that I want continuing stories, like MZMolly TL, I can appreciate their story ending. But something new in the same world would be great. I think it is possible, there is so much more to the world to be explored.